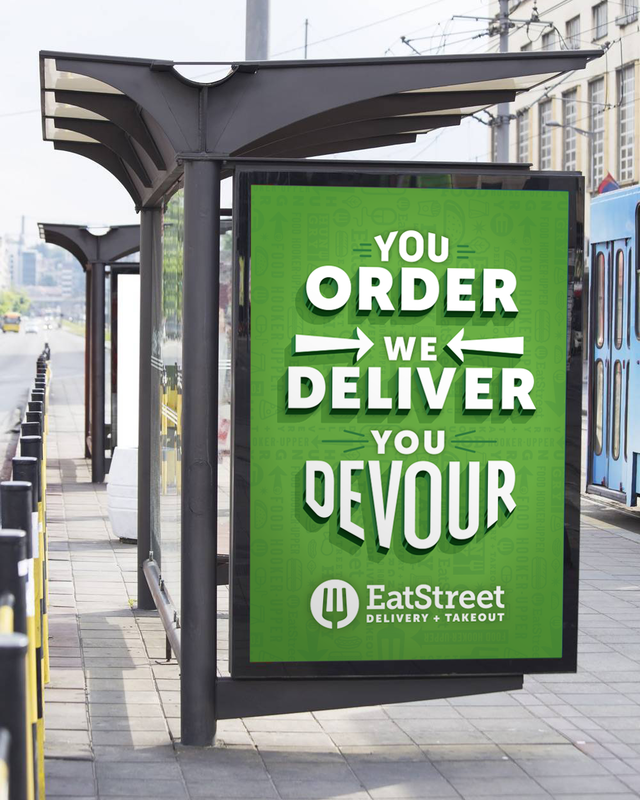 Customized type for the new Eatstreet brand to be used for out of home and delivery apparel. Logo design by Adria Kaufman. Background pattern icons done by the Eatstreet team.